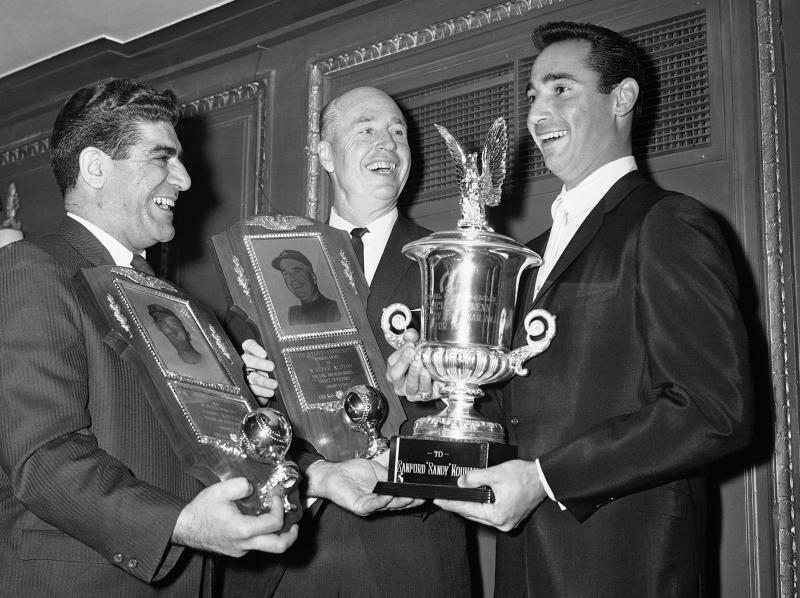 CHICAGO (AP) — Joe Mooshil, who became a fixture on the Chicago sports scene over the course of four decades covering the city's teams for The Associated Press, died Friday night. He was 85. Maria Mooshil, his daughter, said he died at St. Francis Hospital in suburban Evanston after a brief illness and the cause of death was sepsis and complications of chronic lymphocytic leukemia. Known as a sharp dresser with an even-sharper wit, Mooshil was as recognizable around town as many of the athletes he covered. He could be gruff, trading rapid-fire quips with scrappy manager Leo Durocher one minute, then turn around and write moving profiles about Cubs ballplayers like Ernie Banks, Ron Santo and Billy Williams, who persevered through years of losing. "We're losing a good man," former Dodgers manager Tommy Lasorda said early Saturday. "We were from the era when guys understood that writers had a job, and as long as they did it with respect, you could be friendly. Players today don't even want to talk to writers, let alone get to know them. That's a shame. He was a great guy." "A helluva guy," echoed former Bears player and coach Mike Ditka. "It's sad to hear of the passing of one of the truly great guys ever in the business." Few sports writers enjoyed the kind of access accorded Mooshil. He toured the Rush Street taverns with announcer Harry Caray on occasion, became a sounding board for some of the pioneering schemes hatched by late White Sox owner Bill Veeck and came up with the phrase "Million-Dollar Line" to describe the Blackhawks' combination of Bobby Hull, Bill "Red" Hay and Murray Balfour two full seasons before their 1961 Stanley Cup-winning campaign. He had few peers in cranking out fast, accurate stories on deadline, day after day for 42 years — often with a still-smouldering cigar perched on the edge of his desk — and took particular pride in training young sports writers. A cadre of current AP sports writers still call themselves "graduates" of MSU — Mooshil Sportswriting University. "Going to cover a baseball game in Chicago with Joe was like going to Mass with the pope. Everyone knew him and everyone treated him with the utmost respect, from the parking lot attendant to the players to the owner of the team, and particularly his colleagues in the press box," said John Dowling, a rookie reporter in 1982 who is now AP's director of news training. Mooshil, the son of Assyrian parents who came to Chicago from Iran, grew up on the city's North Side, hawking pennants, peanuts and scorecards at Wrigley Field. After graduating from high school in 1944, he joined the U.S. Navy, served as a radio operator in the South Pacific during World War II and then helped repatriate Chinese and Japanese prisoners afterward. He returned home and attended the University of Illinois on the G.I. bill, graduated with a bachelor of arts degree in 1950 and joined The AP as a newsman in Huntington, W.Va., soon after. By 1953, he was back in Chicago and assigned to the sports desk. Until his retirement in 1993, his byline was atop nearly every important story that involved the Bears, Cubs, White Sox, Bulls and nearby Notre Dame. While covering one Cubs' opener, Mooshil became part of the story. At the start of the ninth inning, as he began dictating his story to the sports department in New York, something whizzed through the open window of the press box and cracked the window behind him. Assuming it was a broken light bulb, Mooshil hardly took note and finished dictating. It wasn't until he read the Chicago Sun-Times the next day that he learned someone had fired a bullet into the press box. "I never missed a word," Mooshil recalled a few years later. "It was the one 'no-hitter' I really appreciated being able to cover." He is survived by his wife of nearly 51 years, Claire; three daughters, Maria, Leah and Angele and five grandchildren; and one brother, Edward. A funeral mass was scheduled Tuesday at Queen of All Saints Basilica.